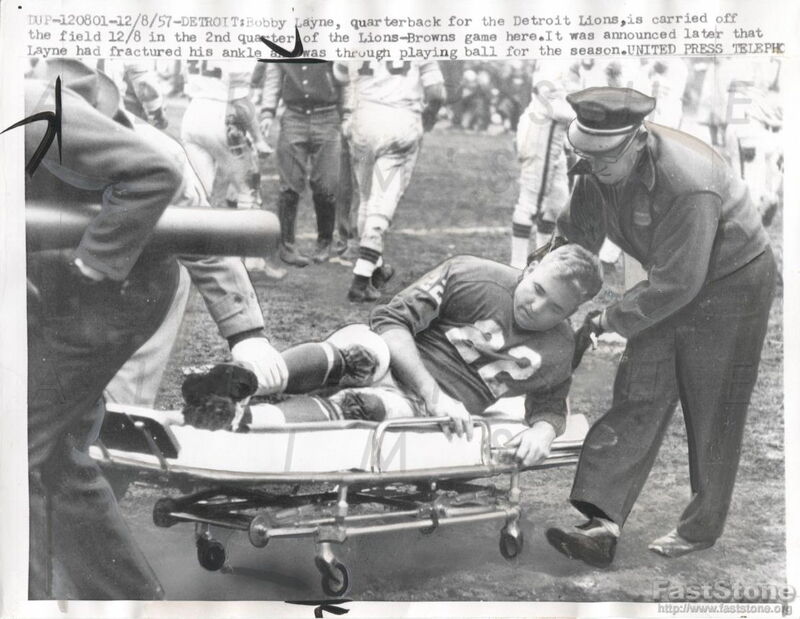 Offered is a 9x7 UPI wire photo dated 12/8/57 of Detroit Lions Quarterback, Bobby Layne being carried off the field on a stretcher during the 2nd quarter of a game against the Cleveland Browns. UPI stamp and dated Dec 9, 1957 stamp on the back. Editorial crop marks on the front from a newspaper archive.